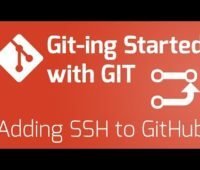 Take control of your CodeIgniter repositories by making sure you are using a well built .gitignore file. What is the Payload for Laravel Forge Deployment Webhooks? J. Alexander Curtis on What is the Payload for Laravel Forge Deployment Webhooks? Oliver Russell on What is the Payload for Laravel Forge Deployment Webhooks?